Above: Constant improvements Left: Rail gateway to Minsk Below: All aboard! 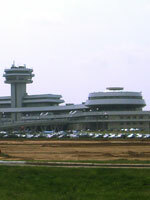 The Minsk National Airport (MSQ / Minsk-2) is currently the main international airport serving Minsk, after its predecessor Minsk-1 Airport was discontinued. The airport serves several international airlines, as well as the national airline Belavia which flies from many cities in Asia, Europe, and the Middle East. 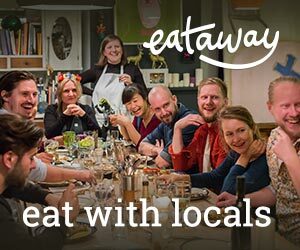 Belavia also connects the UK to Minsk with regular flights from London Gatwick and Manchester. 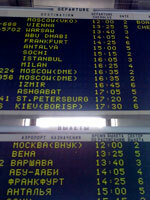 Currently, there are no budget airlines flying to Minsk. The Minsk National Airport is located over 40 kilometres east of the city centre, and is a quick 30-40 minute drive via taxi or transfer on a pristine motorway through the Belarusian countryside. A taxi can be picked up outside the airport, but many hotels and tourist agencies can arrange a driver to pick you up at the gate for a direct car transfer to your destination. Those on a budget can jump on bus no. 300, pay the driver 6000 rubles, and be dropped off at Vostochny or Moskovsky bus stations in central Minsk. Alternatively get off the bus at Uruchie metro station and make your own way to your destination. Arriving to Minsk by rail may not be the quickest or most comfortable way to travel, but compared to slow bus travel and pricey air connections, an overnight train trip is often the most efficient option. Many visitors arrive from Berlin, Kiev, Moscow, or Warsaw, all of which require an overnight ride. Vilnius in Lithuania is the closest major city with 5 hour connections to Minsk. However, if you're travelling from western Europe (typically via Poland) keep in mind that train tracks are a different size in Belarus which requires a long wait for the wheels of the entire train to be changed. 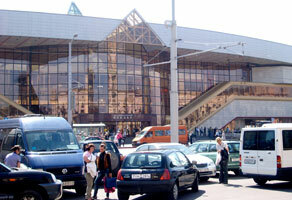 The Central Train Station is located in downtown Minsk, so getting to your hotel is a breeze. Many hotels are within easy walking distance, or you can take the underpass from the train station to nearby Ploschad Lenina metro station. Of course, there are also taxis available outside the station to take you to your final destination. Minsk has several bus stations, but most international bus lines arrive and depart from Moskovsky bus station near the distinctive National Library. The easiest way to get into town from here, apart from jumping in a taxi, is to walk a couple of hundred metres south down Nezavisimosti street to Moskovskaya Metro station. International bus rides are, as you'd expect, extremely long and tiring, but are also the cheapest way to get into Minsk. A coach from Warsaw, for example, will set you back approximately 40 euro. While arriving to Minsk via car directly from London is probably a little unrealistic (it is over 2000km away after all), it's completely reasonable to drive to Minsk if you're already on a road trip in Eastern Europe. While the roads in this region are often far from ideal, the plus side is you'll have a great excuse to see the forests and countryside of Belarus first hand. The main concern about driving to Minsk is the border control, which can be time-consuming and a little confusing if you don't speak any Belarusian or Russian. Make sure your tourist visa documents are sorted well in advance, and don't be surprised if border officers ask to search your car. You will also be required to pay for Belarusian car insurance for the duration of your stay, as well as any tolls if you plan on using highways in Belarus. Don't forget your International Driver's License, either!